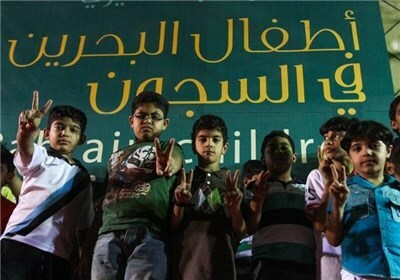 JNN 08 Aug 2015 Manama : Bahraini security forces have arrested 10 children under 18 over the past two weeks and they are now in custody instead of their classrooms, the Bahrain Center for Human Rights (BCHR) was quoted by the Arabic-language Al-Ahed news website as saying on Monday. The new school year in Bahrain started on Sunday as more than 240 schoolchildren are deprived of education because of their detention by the ruling Al Khalifa regime, the human rights body said. According to the data collected by the BCHR, the regime arrested 13 children from August 23 to September 6, three of whom were released later. Bahraini opposition groups have unanimously called for the release of all the political dissidents who have been imprisoned, stressing that only a political solution, and not the use of force, would end the political crisis in the Persian Gulf state. This entry was posted in Middle East and tagged Al Khalifa, Al Khalifa Monarchy, Bahrain, Bahrain Center for Human Rights, Bahrian, Shia Children. Bookmark the permalink.